While the Raider Bivouac 9000’s performance, precision mechanics and innovative features are setting new standards in expectations from a luxury sports watch, the timepiece pays homage to its 1962 predecessor with the same name. The core idea of the aneroid barometer is taken forth from the innovative classic instrument watch – the original 1962 Bivouac, along with the inspiration behind the watch’s iconic retro-futuristic design. So, let’s start with the technical features that make this watch – a watch with a mission – to never fail even in the harshest conditions. The altimeter/barometer feature on this mechanical watch is the first, and currently only, altimeter, that enables a watch to display altitudes from 0 to 9000m (as well as below sea level). 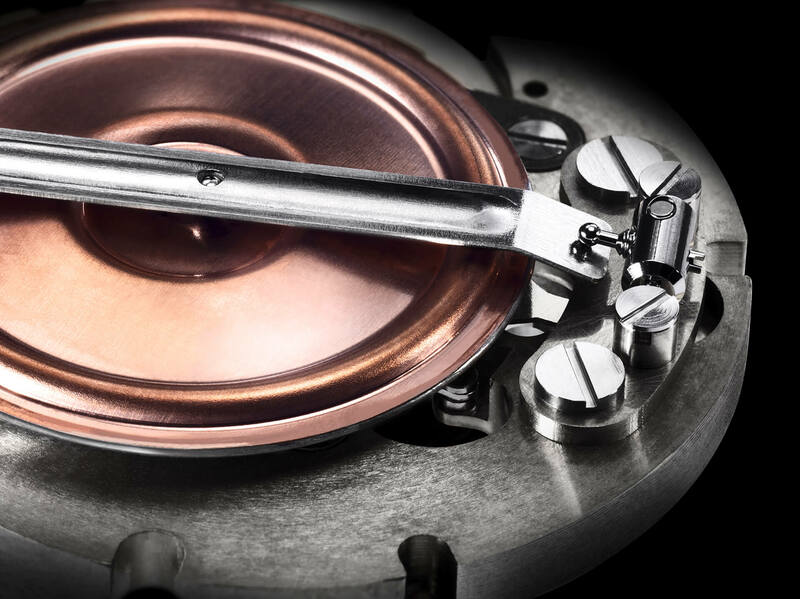 This ground-breaking feat of engineering features an airtight capsule made from a special alloy. The capsule expands when the air pressure drops as the wearer climbs, and contracts when the air pressure rises during the descent. The altimeter/barometer shows short term changes in weather based on the surrounding atmospheric pressure enabling mountaineers to determine if they should proceed to the summit or take shelter. It also helps them better understand their current geo-position, vital knowledge especially during low visibility conditions when it’s hard to determine distance (in altitude) to a destination, as well as providing climbers with a more accurate location to broadcast in case of an emergency rescue mission. The 48mm titanium case is engineered for optimized performance (altimeter/legibility), featuring a bidirectional rotating bezel to keep track of altitude based on atmospheric changes. The dynamic arc extending across the sides of the case from lug to lug is reflective of the connection from the historic accomplishments of the brand, and in particular the original Bivouac, to the present journey of consistent innovation with the new Bivouac 9000. Hours, minutes, small seconds, central hand to display altitudes of 3,000 m per full rotation, subdial for displaying altitudes of up to 9,000 m and air pressure in hPa, power-reserve indicator, date display. 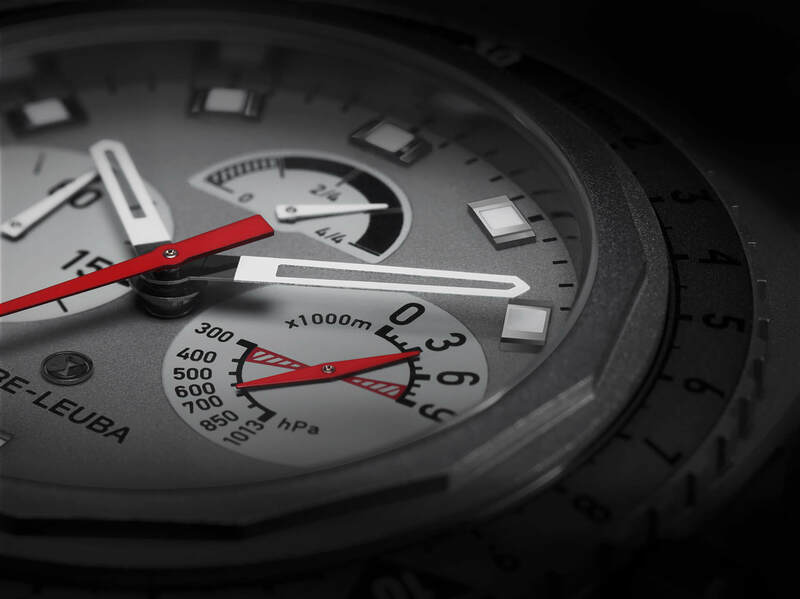 The easy-to read dial features luminescent hour and minute hands and hour markers. The large red central hand displays altitudes of 3,000m per full rotation and the subdial is used to keep track of altitudes for up to 9,000m and air pressure in hPa. The Bivouac is the ultimate fusion of innovation, design and precision making it one of the best tool / instrument watches for outdoor enthusiasts. On May 20th, 2018, the Bivouac 9000 recently broke records becoming the only mechanical altimeter watch in the world to reach the top of the world – the summit of Mt Everest. 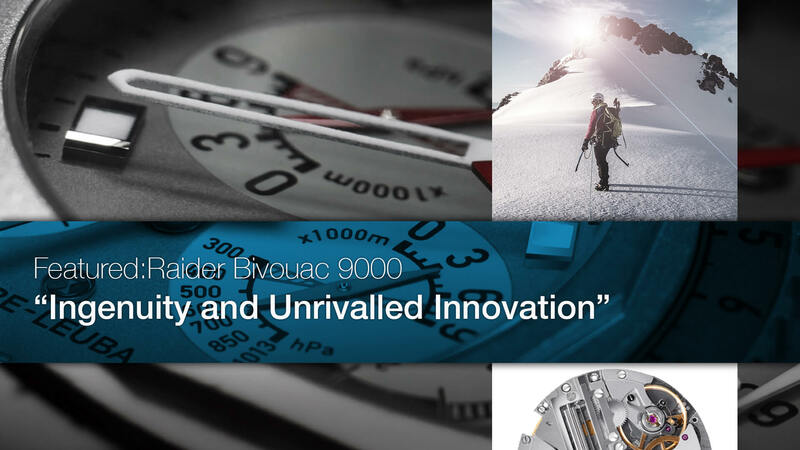 Record-breaking mountaineer Adrian Ballinger and his team battled biting cold temperatures of -40 degrees C and lower, in the harshest of conditions, noting that “at 8,800 meters, the Raider Bivouac 9000 performed flawlessly all the way to the summit of Mt Everest,” – demonstrating that the Bivouac 9000 is without a doubt, the best mountaineering watch on the market. As Ballinger testified – the watch performed flawlessly throughout the gruelling climb to the world’s highest peak, unaffected by the extreme weather conditions which would have affected the battery life of most digital watches. Ballinger isn’t the only Bivouac fan. Within months of the watch’s launch in 2017, it won the prestigious 2017-18 Watchstars ‘New Star’ award for the best new watch to enter the market. “Today, I have one piece of equipment that I knew, no matter what, I can rely on for the ultimate in accuracy to base many of my decisions on – my watch. This small everyday time instrument that so many of us wear without a second thought has become my second voice and it’s a voice that I know I can rely on under the most extreme conditions. In my experience, there’s only watch that’s up to the job – Favre-Leuba’s Bivouac 9000,” remarks Satyarup Siddhanta, one of the world’s leading mountaineers who has climbed to the summits of the highest peaks in each of the seven continents. 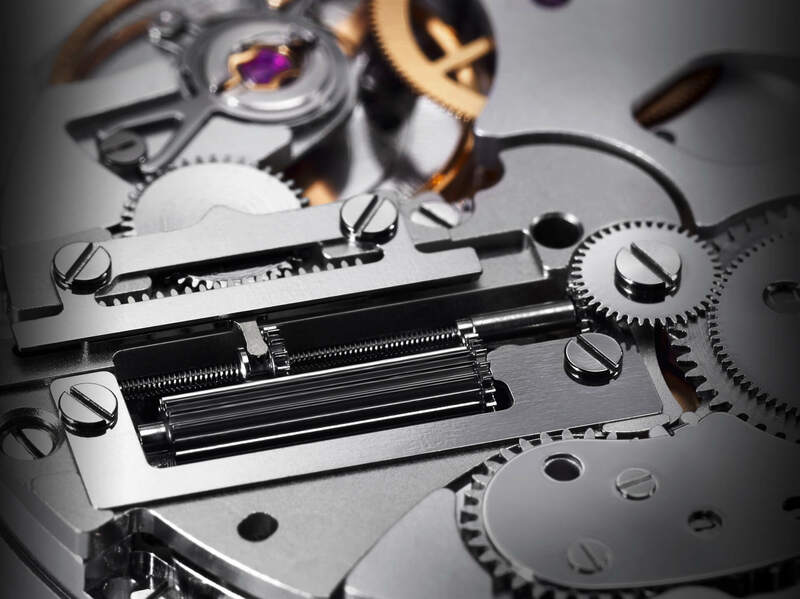 Switzerland’ second-oldest watch brand provides ample proof that ingenuity and unrivaled innovation continue to inspire everything it does. Seeking a rugged tool watch for hikes and explorations? 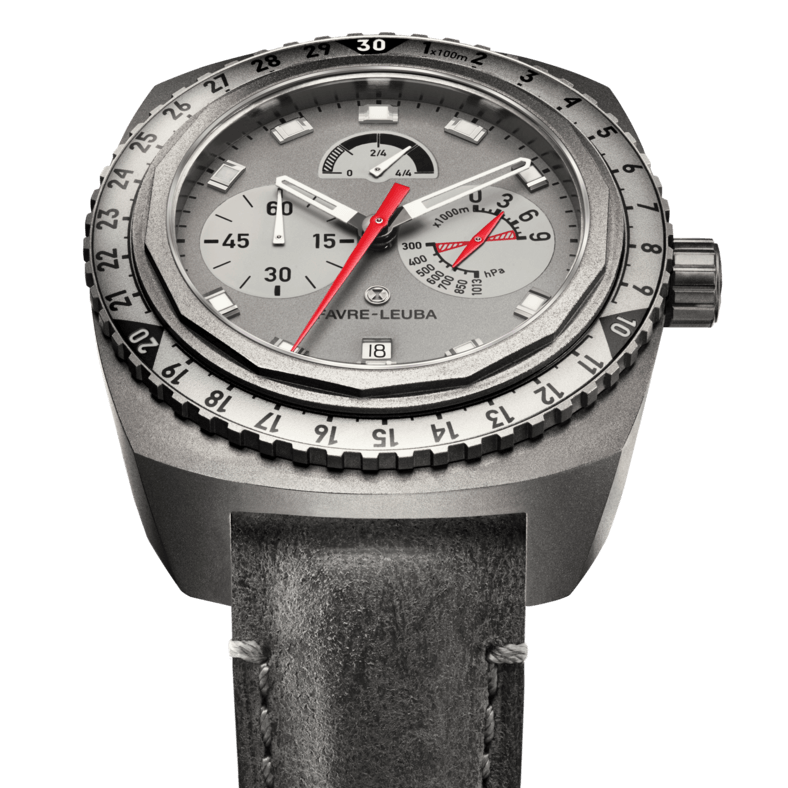 The Favre-Leuba Bivouac 9000 might be the perfect wrist companion…. A groundbreaking watch is indeed the best way to mark an exceptional milestone.